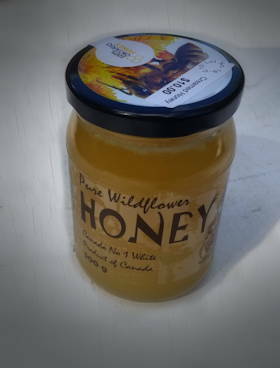 A delicious sweet spreadable liquid made by honey bees from the nectar of flowers. 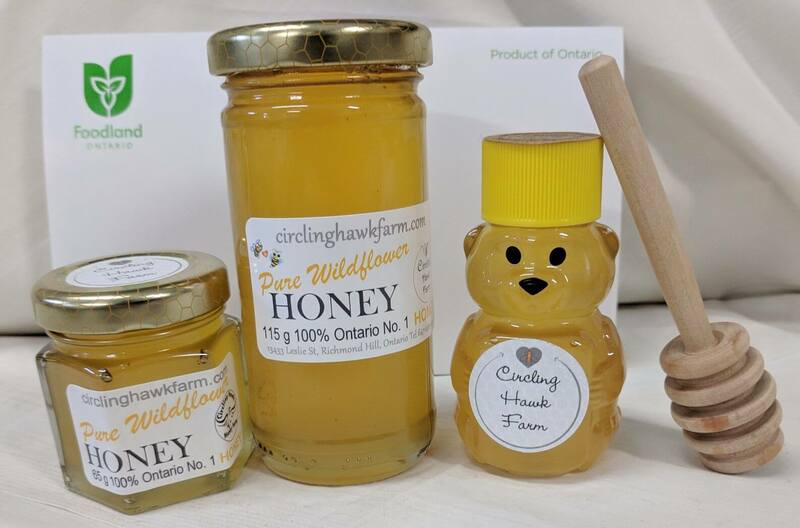 Our honey is un-pasteurized all natural and is minimally processed in small batches to ensure freshness. 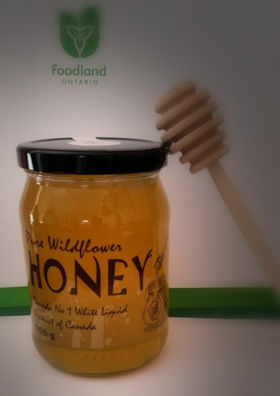 Honey is produced when the sweet honeydew (from trees) or nectar (from flowers) is gathered by the bees, stored and matured in the hive. We package the liquid honey in four ways. 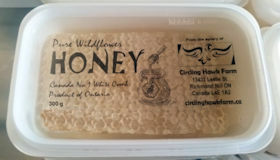 1) finely strained so it is clear liquid or 2) coarsely strained leaving some wax in, called unfiltered honey or 3) strained and then mixed with some aged crystallized honey to make creamed honey or 4) coarsely strained and then combined with chunks of raw comb, called chunky honey. 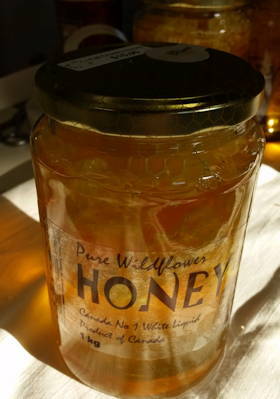 The chunk honey can either be pieces of pure honey comb or pure pollen comb, or a mixture of both honey and pollen combs. 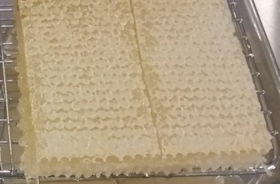 The pollen combs are much darker and add a unique flavor and a great deal of natural goodness to the honey. Cutcomb honey is the purest form of honey and has greater health benefits than eating liquid or creamed honey. This is because the honey under the wax capping in the comb has not been exposed to air. Air oxidizes the honey thereby slightly reducing it's healing properties. 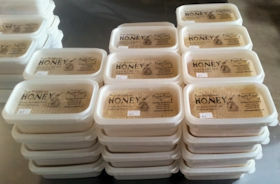 Comb honey also has a more lively flavour. It's great to eat with toast or with a hand full of your favourite nuts. 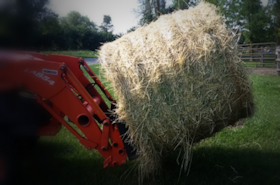 We collect pollen daily from our hives in the spring and early summer. 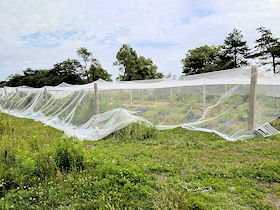 We freeze the fresh pollen immediately after it's harvested to ensure freshness. 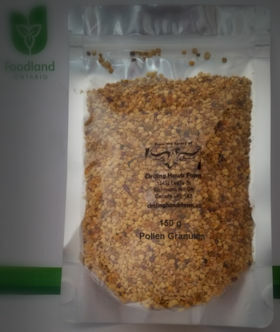 We sell it either fresh-frozen or dehydrated in 150 g foil back clear bags. 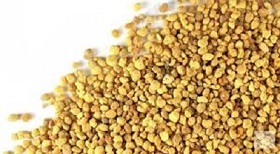 Pollen granules are packed with vitamins and minerals. 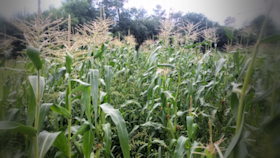 Many believe eating pollen granules help the body build a resistance to allergies. Some people call pollen granules flower powder! If you have pollen allergies, start out taking a small amount of pollen each day. No more than 2 or 3 granules on day one. Place them under their tongue and let dissolve or simply chew them. If you experience no reaction, double the amount of granules you consume on day two. Continue this for at least a week. 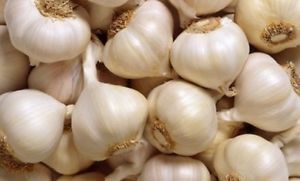 For those without allergies who take pollen for general health purposes the recommended dosage is 1 - 2 heaping teaspoons of the raw granules per day. Mix them into tea, cereal, juice, a smoothie, yogurt, apple sauce etc. Bee Pollen and our local raw honey work best when taken together each day. 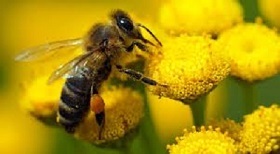 There is a synergistic health benefit when both pollen and honey are taken together as the two combined is greater than the sum of their separate effects. 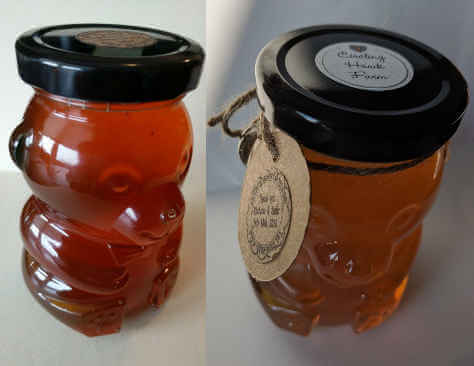 We have 5 sizes of small honey containers available for wedding or party favors. Most often the 115 g hex jar is used as a party favor. You can order these up to 4 days before your event. For quote and order info go to our wedding favours page. 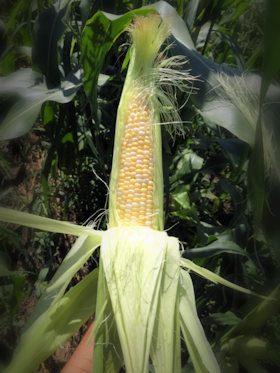 Peaches and cream sweet corn plus two varieties of white sweet corn are expected by the end of July 2017. 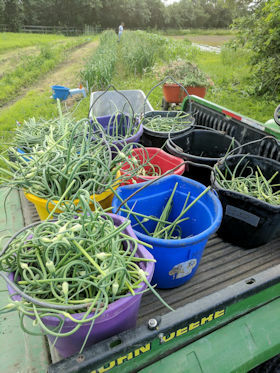 Fresh garlic scapes in mid summer. 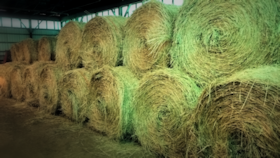 We currently are sold out of horse hay. Powered by w3.css. 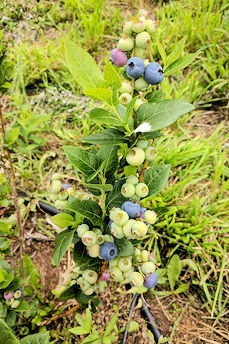 © 2019 Circling Hawk Farm.